Holy Family – Holy Name School, as a Catholic school in the Fall River Diocese, views education as involving the whole person in an environment of faith, hope, and love which is centered on the values of the Gospels of Jesus Christ. We recognize each student as unique in gifts, interests and needs, as we strive to educate each child spiritually, morally, intellectually, socially, physically, and aesthetically. Holy Family – Holy Name School is a community of learners, teachers, parents, staff and resource persons who strive to make Christian Community not simply a concept to be taught, but a reality to be lived and experienced daily. We believe we are called to create an atmosphere where each child is encouraged to grow and develop to his/her greatest potential, empowered to go forth and meet the challenges and needs of an ever changing world. The Holy Family Holy Name School community is delighted that you are considering Holy Family Holy Name School. We are proud of the reputation we have gained in the Fall River Diocese and in this community because of our commitment to be a Christ-centered academic community. This reputation is founded on the hard work and dedication of our students, faculty, staff and administration. 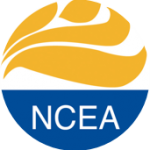 Additionally, we are accredited by the New England Association of Schools and Colleges.